1:16 Scale MAN Fire truck with ladder. 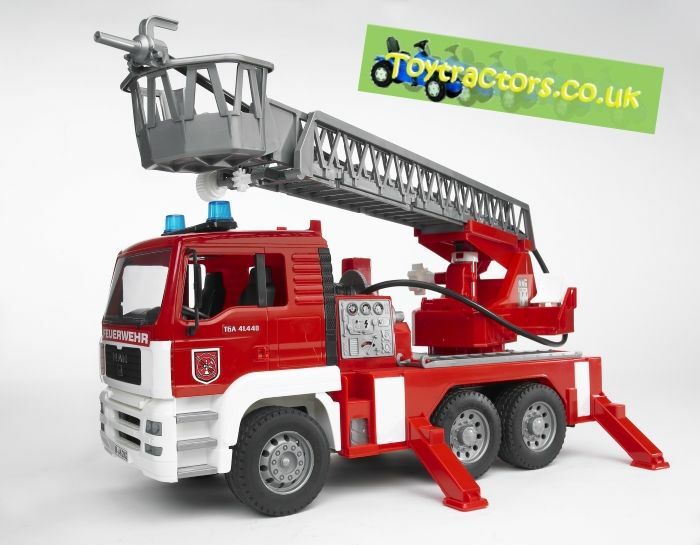 Comes complete with fully extendable turntable ladder, lights & sound module and body support legs. Also has a working fire hose, on board water tank and pump.